On a gray day in March, there isn’t a lot of obvious activity going on at Viva Farms. Cover crops fill the fields, and the farm stand is dormant. But the greenhouse holds tables of young vegetable seedlings, poised for the new season. And in a small office in a trailer overlooking the farm, Sarita and Ethan Schaffer are hard at work. Sarita, the executive director of Viva Farms, grew up in Lewiston, Idaho. Her mother was a serious home gardener and food preservationist, and her father, a physician, was extremely aware of the connection between health and real food. Their family was outdoor-oriented, spending time on river trips, backpacking, and on local farms. What Sarita gradually realized was that farming was a way of being outdoors while still giving something back. The two of them worked on farms all around New Zealand, then interned at Bullock’s Permaculture Homestead on Orcas Island. In 2001 they started GrowFood.org, a networking site for farmers, and continued to build it while they went through college. Sarita started at Reed College, but found it too limited to a single discipline. “Farming doesn’t work like that,” she says, which is why she switched to Evergreen State College (where Ethan also attended), and could simultaneously study agriculture, marketing, nonprofit work, and Spanish. Despite GrowFood’s success in educating a new generation of farmers, actually starting a farm remains a daunting proposition for newcomers, requiring business savvy, huge capital investments and a lot of risk. That’s where Viva Farms comes in. Founded by the Schaffers in 2009, Viva is the convergence of GrowFood and the WSU Latino Farming program (a program of the WSU Extension, of which Sarita is also the coordinator). Called a “farm incubator,” its mission is to help farm workers, interns and market gardeners make the transition to farm ownership. 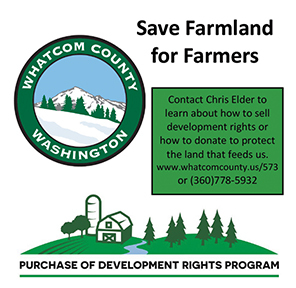 Each participant, after being accepted into the program and attending an optional (but highly recommended) 12-week farm business planning course, rents a parcel of land at the farm, part of a 33-acre property leased from the Port of Skagit. The farm is in its third year of organic certification, so each farmer needs to follow organic methods and maintain records for their parcel. 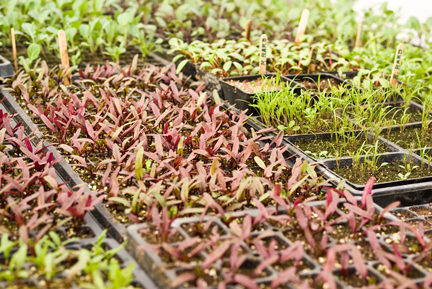 They can grow whatever they like, although planning meetings are held each spring so everyone has the option to “divide and conquer” by providing a wider variety of produce for the farmstand and CSA. Viva Farms provides field-based education, support, equipment, distribution and marketing assistance, in addition to the shared greenhouse and processing facility, letting new farmers find their feet without being crushed by debt. They are also working with Slow Money Northwest and North Coast Credit Union to create a network of social investors, setting up a loan fund so new farmers can purchase their own land and equipment. The program includes tours of established, successful farms, and instruction from local experts, particularly from the Research Center at the WSU Extension as well as Viva staff. “Our goal is to be teaching as little as possible, but providing the tools and resources for people to figure it out themselves,” says Sarita. “The ultimate experience is farming, but in case of fatal errors we have their backs.” There are 10 farms operating at Viva right now. Eventually, as they become more established, the expectation is that they will each move off to their own independent farms to make room for new farmers, while still having the option of using Viva’s network of support as long as necessary. While not restricted to Latino participants, Viva provides the opportunity for immigrants to learn business and farm techniques in a format and language accessible to them. Sarita studied in Paraguay on a Fulbright scholarship, working with a microfinance organization and high school designed to provide funding and teach agriculture and business skills to poor farm children. “I transferred a lot of what I learned there to my work here. My long term vision is that this become an interchange between here and there.” Immigrants may know a great deal about farming, but they are likely to have a language barrier and need to learn the American culture of commerce, which tends to be very different. “Most of us would fail miserably trying to do business in Mexico,” says Sarita. Having the new farmers share a location encourages collaboration and interdependence, as well as conserving resources. The onsite farmstand, open in the summer and fall, gives participants an outlet for their produce, as does a CSA (Community Supported Agriculture) program jointly produced with the organization Growing Washington. 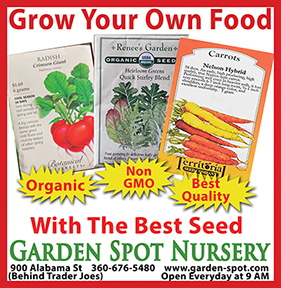 Each week during the growing season, a box is filled with fruits, vegetables or other local products, including flour, butter or sour cream, and delivered to homes and drop sites all over the Puget Sound region. Subscribers get to choose what goes into their basket each week from a list of what’s in season. 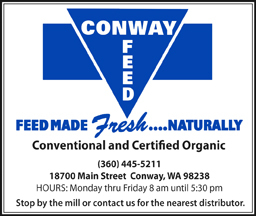 Both the CSA and the Viva farmstand, while concentrating on locally grown produce, do make use of products from elsewhere in the Growing Washington network when their own selection is slim. “We want it to be a one-stop shop for locals,” says Sarita. In the future the Schaffers would like to see their programs result in a wide network of farm incubators, connections and partnerships. As farmers retire, they will know they can turn to GrowFood and Viva to find interested and educated young people to take over. Products from participating farms will be marked so consumers know where they are coming from. These new farmers are bringing with them a huge amount of new knowledge. And on the other side are the consumers demanding local food. “People are hungry for ways to support new farmers,” says Ethan. “We really want to build a community around agriculture.” People who would like to support Viva beyond just shopping, for instance, can choose from a single day of volunteering to a season-long internship. For more information, visit growfood.org and vivafarms.org. What doesn’t Growing Washington do? Growing Washington is a nonprofit organization working throughout the state with both new generation and immigrant farmers on 125 acres of farms growing crops of all kinds. But Growing Washington doesn’t stop there. The group also focuses on connecting people with their food through farmers markets, running Washington’s largest Community-Supported Agriculture (CSA) program, bringing local food to schools in the area and literally driving to pick up locally-grown produce from farms around the state to distribute in areas with greater demand and connect small farms with the means to continue growing. The people behind the group are Clayton Burrows, director, and Jay Dennison, co-founder. The two, who grew up together in Canyon City, Colorado, had always talked about starting a small farm with friends, Burrows said. In 2003, while both lived in Alaska, they formed an organization and incorporated. The following year, they began working with Everson-based Alm Hill Gardens. 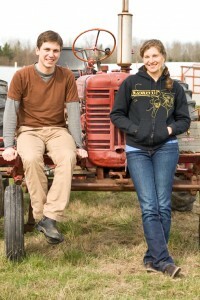 Owners Gretchen Hoyt and Ben Craft started the farm in 1972, and were looking to somewhat retire. Burrows had started working on their farm, so they began talking about a transition. The organization started with a focus on policy, Dennison said, but evolved to its current state, placing emphasis on the ground, literally, and what can be grown in it, while adhering to sustainable practices throughout the organization, Burrows said. 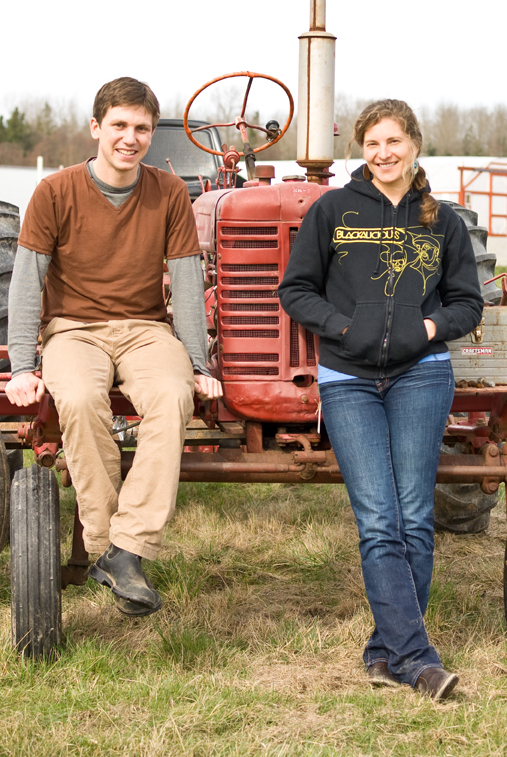 The seemingly-natural shift to an action organization not only offered Burrows and Dennison the hands-on experience of farming in Whatcom County, but also helped bring them closer to their cause. 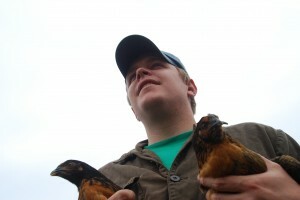 With the organization having such a broad range and working in many different avenues with different people, from farmers to restaurant owners to university administrators, Burrows said the ground level focus is to actually grow food as an organization and help facilitate learning of the skills needed to farm land. “At the most basic level, we want to grow food and farmers,” Burrows said. Growing Washington farms three major sites in Western Washington, including Alm Hill Gardens, Food Bank Farm on the Guide Meridian between Bellingham and Lynden, and Food Box Farm in Woodinville. The Food Bank Farm is a joint operation between Growing Washington and the Bellingham Food Bank, of which all the food grown at this farm is donated to the food bank. The Food Box Farm grows food primarily for the Local Food Choice Box CSA. 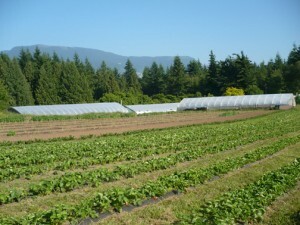 Of the three, Alm Hill Gardens is the largest and most productive of the organization’s farms. Being a highly diversified farm gives farmers the experience of working with different types of plants and methods of growing. 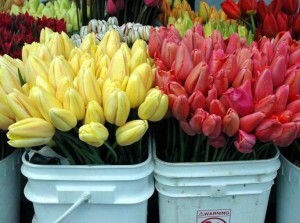 These farms grow more than 200 varieties of produce, including grains, fruits, flowers, vegetables, livestock and eggs. 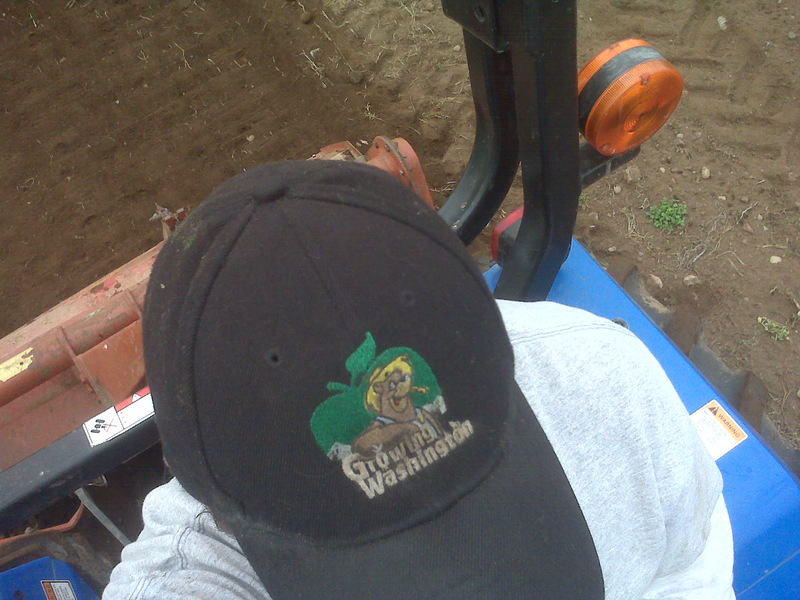 Fifth-year Growing Washington farmer Brad Sandstrom works at Alm Hill Gardens. Utilizing his construction skills, he helps maintain the farm’s irrigation system, works with the farmers markets and CSAs, and helps cultivate new processes at the farm, such as weeding systems. “This has been something I’ve always wanted to do, but never thought was possible,” Sandstrom said. The staff consists of year-round employees to work on these farms, but the peak of the season is between July and November. For example, Alm Hill Gardens employs 50 people during the summer months, but keeps a core staff of 10 to 14 throughout the winter, Burrows said. Farmers markets are another avenue for Growing Washington. They sell at both the Bellingham Farmers Market locations, along with numerous markets in the Seattle area, including Pike Place Market and the University District markets, attending up to 20 markets a week during peak season, Burrows said. 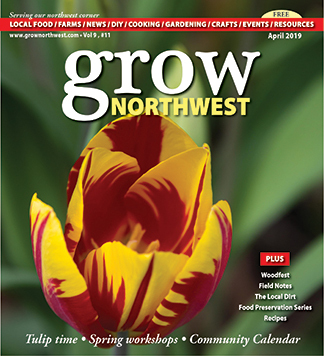 Growing Washington runs the largest locally supported Community-Supported Agriculture (CSA) program in the state, Burrows said, offering CSA memberships in King, Snohomish, Skagit and Whatcom counties, with 100 pick-up points throughout the area. In 2007, the CSA had 30 members and now five years later, there are more than 1,000 accounts in the program, Co-Founder Jay Dennison said. 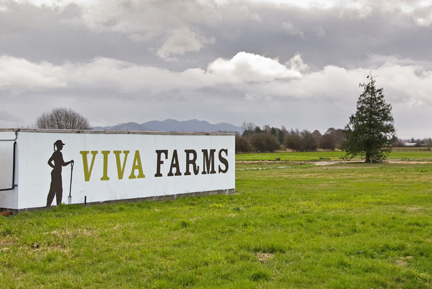 A new partnership between Growing Washington and Viva Farms in Skagit Valley will provide a CSA for the region. 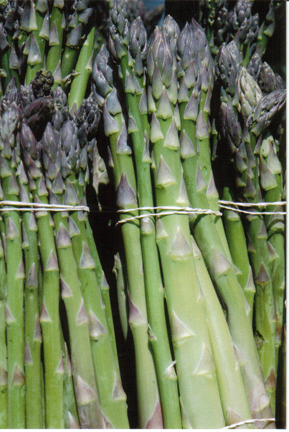 This year, the CSA program will continue to grow, increasing the number of customers within the four counties. Growing Washington takes the CSA program a step further by offering workplace CSAs to companies throughout Western Washington including Boeing, Microsoft, Expedia, and Google. In Whatcom County, the City of Lynden, City of Bellingham, and Whatcom Transportation Authority are all members. The Local Food Exchange is another outlet for Whatcom county residents to access fresh local food. This centrally located food stand, serves as a pick up point for the CSA in Bellingham. The space, located on Railroad Avenue, is in its fifth year and allows smaller farmers access to the wholesale market, connecting farms out in the county with residents in the city limits. The organization helps facilitate the movement of produce from farms all over the state, acting as a food hub. This concept is a hot topic in sustainable agriculture, creating a method for smaller farms to move their product. Growing Washington created a Food Coalition program that helps locate small farms and brings their products to new markets. 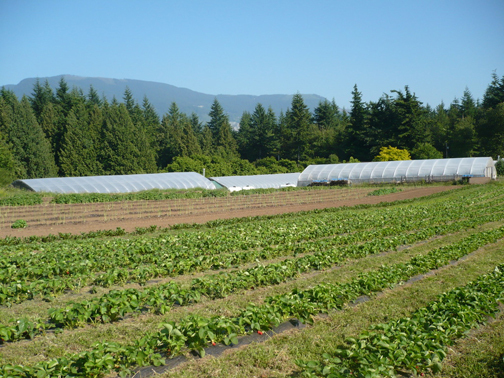 In the last two years, Growing Washington began a Farm to University program at Western Washington University, delivering CSA orders to the campus in the fall. The program originally focused on faculty, but Burrows said the student interest was there and the partnership with Western grew, forming a new program called Viking Supported Agriculture (VSA). The organization now leases a plot of land referred to as Viking Field that is farmed specifically for Western’s VSA program, Burrows said. 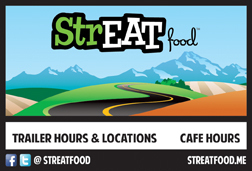 Another aspect of their organization is the Restaurant Coalition, that focuses on supplying restaurants and small businesses in Western Washington with local food. In that process, they work on developing systems for local food distribution. In Whatcom County, restaurants such as Old Town Café, Mallard’s Ice Cream and The Pepper Sisters partner with Growing Washington, as well as Seattle easteries including Tilth Restaurant. The Farm to School program has taken initiative and done a substantial amount of direct work bringing small farmers together with schools, and making the process feasible for farmers and affordable for schools. Many challenges have been faced while working with this program, which Growing Washington and Burrows have worked to overcome. Working to extend the farm’s season to coincide with the school calendar, providing points of contact and delivery, and combining products from various farms, and taking the time to show schools how to use fresh produce have all helped to simplify the process. In the beginning of Growing Washington, the Farm to School program was one of the first focuses of the group. “Once you start doing, momentum builds off that,” Burrows said. GW also works with University Dining Services to offer local produce on campus, Burrows said, growing produce specifically to sell at Western. With all that Growing Washington has accomplished, the group continues to expand and flourish. This summer, Burrows is set to teach a class at Western in agricultural ecology. The organization will continue to offer internships to students. Of the current farms within the organization, Burrows said he is working to increase livestock and grain crops. The organization will continue to work with WSU, specifically several research projects on the horizon, looking at organic cropping systems. And new crops will be planted with Growing Washington this year, including cherries, hearty kiwi and ginger, among others. As the creed for Growing Washington states “Start small, but start something,” it is clear Growing Washington and its members will continue to plow the way for future activities strengthening the connection between farmers and consumers. For more information, visit growingwashington.org or follow them on Facebook. Published in the April 2012 edition of Grow Northwest magazine.